Lithuanian-born pianist Veronika Kopjova enjoys an active musical life as both a soloist and chamber musician, performing regularly in halls throughout Europe at prestigious venues such as Amsterdam Concertgebouw, Bratislava Philharmony, Graz Musikverein, NDR Hannover, Auditorio Ciudad de León, National House of Vinohrady Prague, Lithuanian National Philharmonic halls. As a soloist she has performed concertos with the Lithuanian National Symphony Orchestra, Christopher Chamber Orchestra, Symphony Orchestra Castilla y León and the Nordwestdeutsche Philharmonie Orchestra. Her performances have been broadcast on Dutch National Radio, NDR Kultur, Germany, ORF Austria and National Radio of Lithuania. Veronika is a prize-winner of numerous international solo competitions in Germany, France, Spain, Lithuania. She has received scholarships from Yamaha-Foundation, Lithuanian Ministery of Culture, Live Music Now Hannover. As a soloist and chamber musician Veronika Kopjova performs regularly throughout Europe in festivals such as „Klassik in Spandau“, „Choriner Musiksommer“, “Bebersee Festival”, „Christopher Summer Festival“, „International Chamber Arts Festival ENSEMBLE“, International Festival of Stars „FORTEpiano – Toruń 775” (Poland). Veronika has benefitted from solo and chamber music masterclasses with distinguished musicians such as Elisabeth Leonskaja, Steven Isselis, Hatto Beyerle, Jacques Rouvier, Andrea Bonatta, Liana Issakadze, Jean-Guihen Queyras and others. Veronika is currently specialising in Piano Chamber Music at the University of Music and Performing Arts Vienna with Prof. Avedis Kouyoumdjian. At the same time she is studying on the renowned postgraduate concert soloist course ‘Konzertexamen’ at the University of Music, Drama and Media Hannover with Prof. Ewa Kupiec. 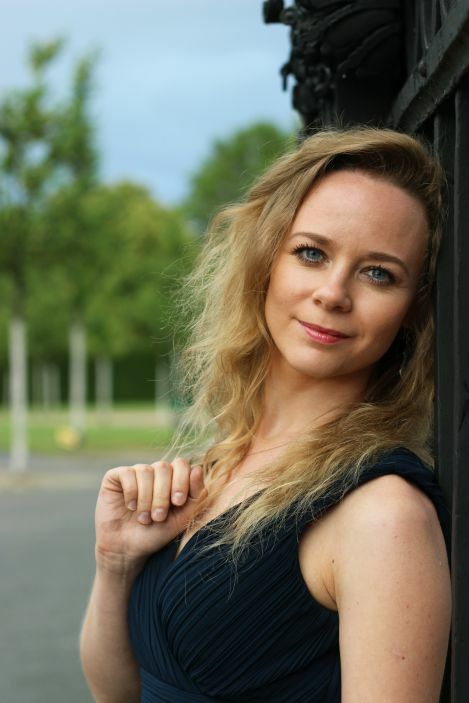 Since October 2014 she is accompanist at the University of Music and Performing Arts Vienna.